The National Youth Service Corps, Nysc have officially released the timetable for Batch b stream ll for the 2016 session. According to information which is available to Dailyschoolnews, the National Youth Service Corps, NYSC, management just released the time-table for 2016 Batch B stream II orientation course. “The NYSC Management is happy to notify and inform all prospective Corps members and other stakeholders, that the 2016 Batch ‘B’ (Stream II) Orientation course has been scheduled to commence on: Tuesday, the 24th of January, 2017. Monday, 13th February, 2017 – Closing ceremony. All prospective Corps members are advised to please, report to camp at the scheduled date shown above,. All concerned corps members should know that the registration/verification will end midnight of January 25th, 2017. It is also of utmost importance, that all corps members should note that the original copies of academic credentials and other documents, which is uploaded during the online registration MUST be presented on camp for physical verification. All Prospective Corps members should also be AWARE that they must present medical certificate from a government or military hospital showing their health status, before they will be registered and admitted for the Orientation course. 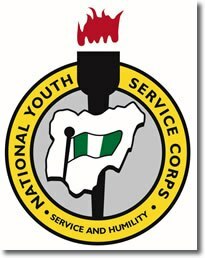 The National Youth Service corps wishes all prospective Corps members of the 2016 Batch B Stream II, safe journey to their respective camps and a very successful Orientation course.